In its previous decision (rendered on August 23, 2017), the panel had also upheld Martoma’s convictions. The panel’s prior decision had held that that the Supreme Court’s decision in Salman v. United States, 137 S. Ct. 420 (2016) abrogated the Second Circuit’s decision in United States v. Newman, 773 F.3d 438 (2d Cir. 2014). In particular, the Martoma panel’s prior decision had held that in light of Salman the government need not show evidence of a “meaningfully close personal relationship” between a tipper and tippee in order to show that a tipper received a personal benefit in gifting inside information to a tippee. Instead, the panel’s prior decision held that in such “gifting” cases, the government had to only establish that the tipper disclosed inside information “with the expectation that the recipient would trade on it,” and that “the disclosure resembles trading by the insider followed by a gift of the profits to the recipient.” Our full coverage of the panel’s prior decision and the factual background of the case can be found here. In its amended decision, the Martoma panel asserts that its revised decision has narrowed the breadth of its prior holding. In particular, while its prior decision had concluded that Salman abrogated the “meaningfully close personal relationship” standard espoused in Newman, the panel’s amended decision holds that the Court “need not decide whether Newman’s gloss on the gift theory is inconsistent with Salman.” Martoma Slip Op. at 14; Martoma Dissent Slip Op. at 9 n.3. It is understandable, however, that some readers may ask whether the language and reasoning of the amended decision actually go a step beyond the original Martoma decision in lowering the bar for insider trading prosecutions where a tipper gifts inside information to a tippee. Chief Judge Katzmann wrote the majority opinion, in which Judge Chin joined. The primary issue in Martoma’s appeal concerned whether the district court erred by failing to instruct the jury that a tipper and tippee must share a “meaningfully close personal relationship” in order to find that the tipper received a “personal benefit” based on a gift of inside information to a friend. As the majority explains, Newman introduced a term—a “meaningfully close personal relationship”—that “is new to our insider trading jurisprudence” and all parties conceded that the district court did not instruct the jury that such a requirement existed. The personal benefit requirement in tippee cases was set forth in the Supreme Court’s seminal decision in Dirks v. S.E.C., 463 U.S. 646 (1983). That decision held that a tippee who trades on material nonpublic information from a tipper can be liable for insider trading only when (a) the tipper has breached his fiduciary duty (or other duty of loyalty and confidentiality) to the shareholders through the disclosure and (b) the tippee knows or should have known that there has been a breach. See id. at 660. Under Dirks, the tipper breaches his duty when he will personally benefit—directly or indirectly—from his disclosure to the tippee. See id. at 662. Slip Op. at 21. In some cases, proof of a personal benefit is easy—the tipper is paid for the tip by the tippee, who trades and profits based on the tip. However, in other cases, the facts are less clear. The Martoma Court discussed the fourth of these five examples at length. According to the majority, evidence of an “intention to benefit the particular recipient” was sufficient in itself to meet the personal benefit test under the plain language of Dirks. Id. at 22. In a crucial piece of interpretation, the Court looked at “[t]he key sentence of Dirks” which it described as “admittedly ambiguous” and open to more than one plausible reading: “For example, there may be a relationship between the insider and the recipient that suggests a quid pro quo from the latter, or an intention to benefit the particular recipient.” Id. To the panel majority, the comma that separates the two clauses “sever[s] any connection between them.” The use of the disjunctive “or” seems to support the panel’s reading, but it is far from clear. Accordingly, a tipper’s disclosure of inside information to a stranger could meet the personal benefit requirement if a jury could infer that the disclosure was intended to benefit the stranger. Id. at 24. In discussing the personal benefit requirement, the Court made a point to emphasize that Dirks broadly defined “personal benefit” and that the Second Circuit had previously found the element satisfied in other cases based on an evidentiary bar that was not very high. Id. at 27-28. 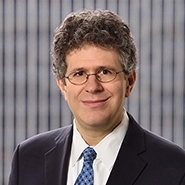 Returning to the “meaningfully close personal relationship” language from Newman, the Court noted that although this wording was new to the Court’s insider trading jurisprudence it was nevertheless qualified by two of the personal benefit examples from Dirks: (1) “a relationship between the insider and the recipient that suggests a quid pro quo from the latter,” or (2) “an intention to benefit” the tippee. Id. at 30. The Court therefore held that “Newman cabined the gift theory using two other freestanding personal benefits that have long been recognized by our case law.” Id. at 31. Based on this conclusion, the Court held that evidence that inside information was gifted to a trading relative or friend could meet the personal benefit requirement only if there was also (1) evidence that the tipper and tippee shared a relationship suggesting a quid pro quo, or (2) evidence that the tipper intended to benefit the tippee with the information. Id. at 32. The Court ultimately held that the district court erred because it did not instruct the jury that it must also find that the tipper had a quid pro quo relationship with Martoma or that the tipper intended to benefit him by providing the inside information. Nevertheless, the Court found that the error did not affect Martoma’s substantial rights because there was “compelling evidence” that a quid pro quo relationship existed. Martoma also challenged the sufficiency of the evidence supporting his convictions, but this aspect of his appeal was again quickly dismissed in the Court’s amended opinion. First, the Court held that there was more than enough evidence for the jury to find that Martoma and his tipper had a quid pro quo relationship because of consulting payments that were made to the tipper over time. In arriving at this conclusion, the Court reiterated that the evidentiary bar to establish such a quid pro quo relationship was “modest.” Id. at 35. Second, the court found that there was sufficient evidence for a jury to find that the personal benefit requirement was met based on the inference that Martoma’s tipper disclosed inside information with the “intention to benefit” Martoma. Id. at 36. Intention to benefit could be inferred based on evidence that the tipper understood that he was deliberately disclosing valuable, confidential information without a corporate purpose and with the understanding that Martoma (an investment manager) would trade on it. Id. Judge Pooler focused her dissent largely on the majority’s holding that a jury can infer personal benefit to a tipper through a “freestanding ‘intention to benefit.’” Id. at 2. 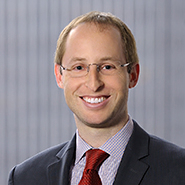 According to the dissent, this holding was contrary to Dirks’s well-established requirement that the personal benefit requirement be proven based on objective criteria. Id. at 3. Judge Pooler argued that the majority’s holding opened the door to prosecutorial overreach and allowed prosecutions to be pursued based on scant objective evidence. Id. at 10-11. As the dissent explained, when the personal benefit requirement can be established based solely on the tipper’s supposed intention to benefit the tippee, then “[t]he difference between guilty and innocent conduct would be a matter of speculation into what a tippee knew or should have known about the tipper’s intent.” Id. at 5. Because of the speculative nature of such an inquiry, the dissent argued that Dirks requires additional objective facts regarding the nature of the relationship between the tipper and tippee in order to be able to infer that a gifted tip of inside information was likely intended to benefit the tipper in some way. Id. at 6. The dissent also would not have found the error to be harmless. Applying the rarely invoked “modified plain error” doctrine where an intervening change in the law gives rise to the error, she questioned whether the relationship between the tipper and Martoma suggested a quid pro quo, and she doubted that the two individuals had any non-professional friendship. The amended Martoma decision appears to again lower the bar for insider trading prosecutions in the Second Circuit. Although the majority disclaimed that it was abrogating Newman, its observation that the personal benefit requirement can be met where inside information is given to a stranger who the tipper intends to benefit suggests that a “meaningful close personal relationship” is a less meaningful factor when it comes to proving tippee liability in gifting cases. The majority’s repeated admonition that the evidentiary bar was relatively low to prove personal benefit may only encourage more aggressive enforcement of insider trading laws. The amended decision arguably goes beyond the panel’s original decision in altering the type of evidence needed to obtain a conviction in a tippee case. As noted in our post regarding the panel’s original decision, the panel made clear in that decision that, despite the apparent abrogation of Newman, the relationship between a tipper and tippee could be relevant in determining whether the disclosure of inside information resembled trading by the insider followed by a gift of the profits to the tippee. For whatever reason, this dicta was notably absent from the amended Martoma decision. Judge Pooler’s dissent makes several compelling points regarding the interpretation of Dirks and whether it provides that an inference that a tipper intended to benefit a tippee is sufficient to meet the personal benefit requirement. For example, it is unclear why evidence that a tipper intended to benefit a tippee could serve as evidence of a benefit to the tipper. Dissent Slip Op. at 13. The dissent also identifies the apparent circularity in this reasoning, noting that there should be no reason to assess the tipper’s personal benefit if that benefit can be established solely based on an intent to benefit the tippee. Id. at 14. Ultimately, the Martoma decision seems likely to open the door to more insider trading prosecutions in “gifting” cases. As the dissent posits, after Martoma it appears that the only objective fact that the government would have to prove in such cases is the communication of inside information. Id. at 11. It would then be left to the jury to decide whether that information was gifted with the intention of benefiting the recipient. Finally, we speculated in our last blog post that Judge Pooler’s dissenting opinion might “inspire the Court to grant a petition for rehearing en banc in order to resolve any lingering inconsistency between the Circuit’s two recent, landmark decisions” in Newman and Martoma. The Circuit has not—at least not yet—decided to rehear Martoma en banc. However, the panel’s amended decision (issued roughly ten months after the initial opinion) does make one wonder if it was issued in the aftermath of internal debate at the Court about whether the initial Martoma decision violated the rule that one panel cannot overrule a prior panel decision. Based on the back-and-forth between the majority and dissenting opinions, this may have happened here. Given that Newman remains good law, and now Martoma is also good law, further review by an en banc Second Circuit or by the Supreme Court may provide useful guidance to district judges, litigants, and securities market participants.